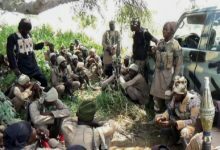 In the second part of a two-part analysis, Robert Postings takes an in-depth look at reasons behind the Nigerian military’s apparent problems in dealing with the increasingly violent Islamic State West Africa insurgent group. 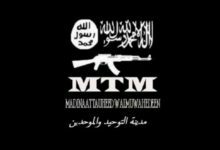 He focuses exclusively on ISWA, the ISIS-approved Boko Haram faction led by Abu Musab al-Barnawi since the group split in 2016. Part 1 focused on a late 2018 upsurge in ISWA attacks in northeastern Nigeria. Systemic issues within the Nigerian military have contributed to preventing it from effectively combating Islamic State West Africa militants. 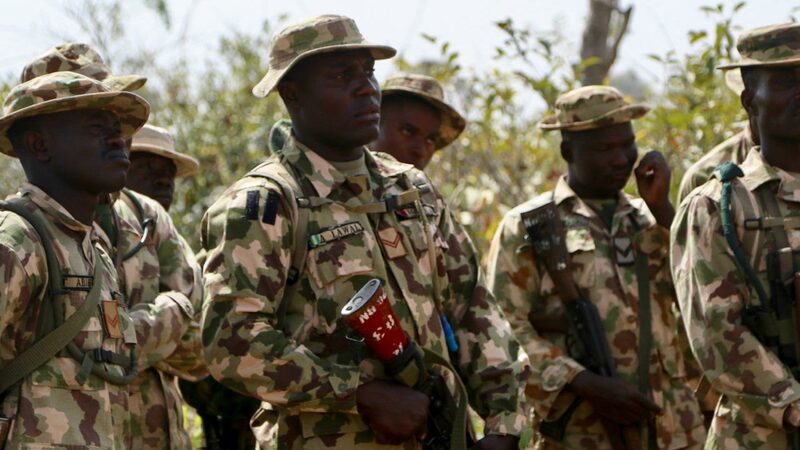 The military’s successes in recapturing territory from Boko Haram in 2015 came in spite of its issues, and over time these fundamental problems have come to the fore again. Soldiers have complained about low pay, long deployments and a lack of equipment as key issues. 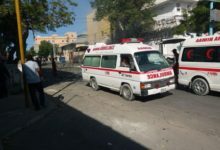 At the same time, ISWA has employed a new and apparently successful strategy of attacking hard military targets, while at the same time reaching out to civilians. As exemplified by the fighting at Metele in November, one of the most common complaints from Nigerian soldiers in the northeast is the quality of equipment and weapons they are expected to use. Ranging from boots to tanks, Nigerian soldiers often lack what they need, and what equipment they do have is regularly faulty. Other soldiers have complained of tanks only firing twice, armored personnel carriers running for 10 to 15 minutes before overheating, machine guns jamming, and mortar shells failing to detonate. What good equipment soldiers have is often captured by ISWA as they overrun bases. Recent propaganda videos and pictures released by ISIS central appear to show tanks and armored vehicles being seized on several occasions. 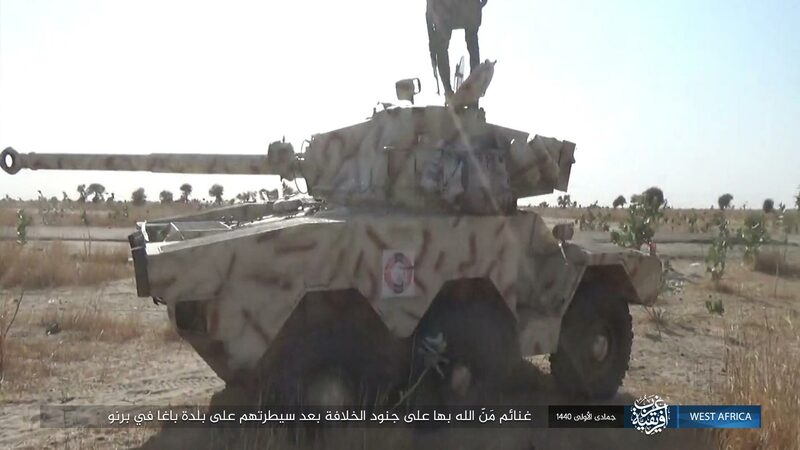 Propaganda image showing a Turkish Otokar Cobra armored personnel carrier captured by Islamic State West Africa during an attack on Baga in December 2018. 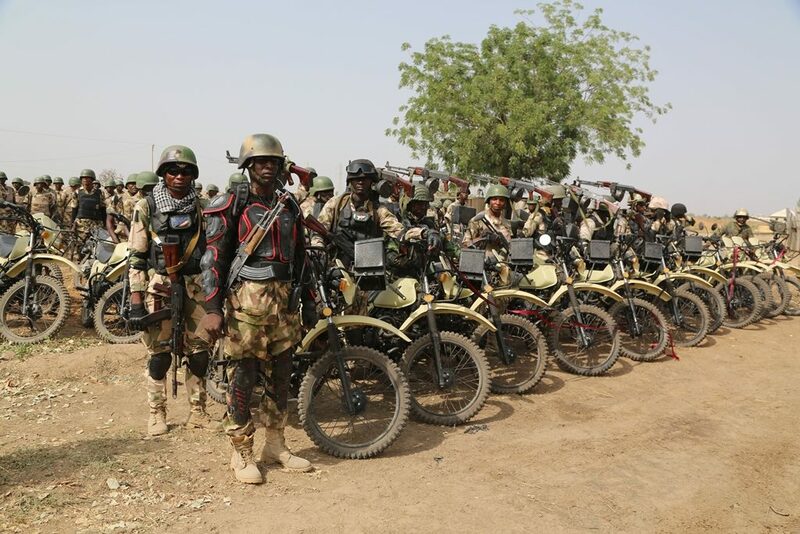 The general poor state of weapons and equipment and the capture of good equipment by ISWA has lead to a situation where Nigerian soldiers complain that militant opponents are better equipped than them. 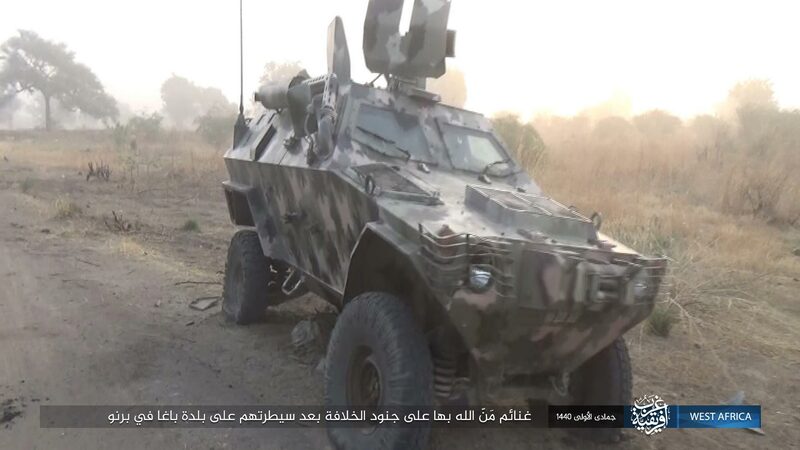 Propaganda image showing a French Panhard ERC-90 armored car captured by Islamic State West Africa during an attack on Baga, Nigeria, in December 2018. Beyond military equipment, everyday necessities are often lacking. Proper accommodation for soldiers, who are often deployed for years, can be non-existent. Soldiers have reportedly resorted to buying blankets from refugees and begging aid workers for mattresses. 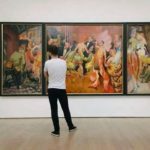 They are often not paid in full for the work they are doing. In September, a corporal in a special forces regiment said, “For months now, we’ve not been paid our allowance,” according to an investigation by The Cable. This is a recurring complaint, and soldiers often say they are not paid on time. All of this, not surprisingly, reduces morale and makes soldiers less willing to fight. 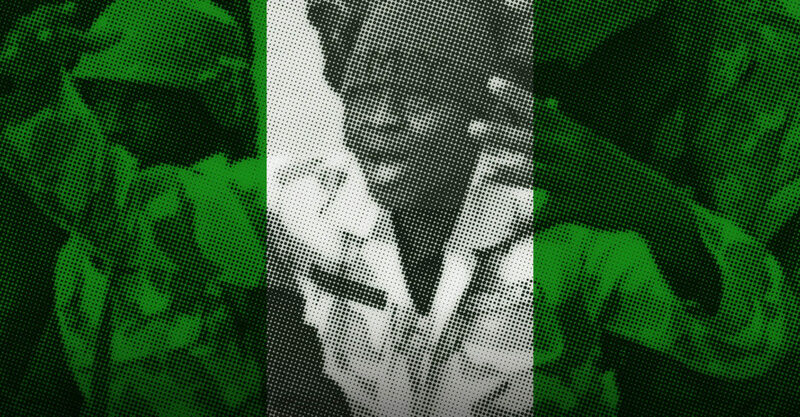 While a variety of issues have contributed to the Nigerian military’s problems, corruption is a major factor. At first, anti-corruption efforts initiated by President Muhammadu Buhari when he took office in 2015 improved the situation, but it has since worsened. The scale of government corruption is a frequent complaint amongst soldiers across the northeast, which they often blame for their poor conditions, and soldiers often view higher-ranking officers as using the conflict to enrich themselves. Fraudulent arms deals are one way top government officials have enriched themselves at the expense of soldiers. In 2016, Vice President Yemi Osinbajo said $15 billion was stolen through fraudulent arms deals during the previous administration. At the end of 2015, former national security adviser Sambo Dasuki was arrested for allegedly stealing $2 billion through fraud. A corporal in a special forces unit told The Cable that commanders inflate the size of units, letting them draw funds for more soldiers and pocket the difference. This suggests Nigeria has an issue of ‘ghost soldiers,’ where either fake soldiers exist on troop lists or the names of those who have died are not removed. Other reports, including one by Transparency International in 2014, have highlighted this issue, which plagues other areas of government. The ‘ghost soldiers’ phenomenon is not uncommon, with Somalia and Afghanistan also badly affected, leaving their militaries significantly weaker against insurgents than they appear on paper. The Nigerian military has become significantly overstretched. It not only has to face al-Barnawi’s ISWA and Shekau’s faction of Boko Haram in the northeast, but also deadly farmer-herder clashes, banditry, and other militancy. 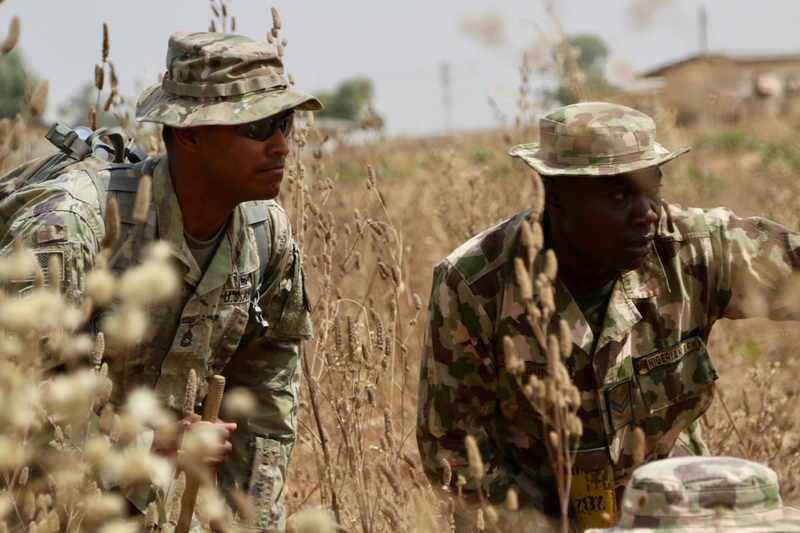 The military is active in at least 30 of Nigeria’s 36 states, leading to long deployments for soldiers in active combat zones, often running to multiple years. 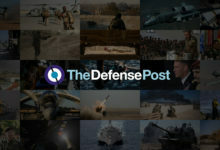 Soldiers complained of spending at least three years fighting in the northeast according to The Cable’s investigation. One soldier who had already served a three-year deployment was sent back to the front after just two months at home with his family, a not uncommon occurrence. His redeployment came despite pleas to his superior officers to let him stay longer so he could get married. He ended up deployed to Jilli, and was killed when ISWA overran that base in July. This has all, unsurprisingly, contributed to what one former general described as “a crisis of morale.” Constant ISWA attacks, poor and outdated weapons, limited equipment, shortages of basic supplies, multi-year deployments, widespread corruption, and withheld pay have all sapped soldiers’ will to fight. President Buhari recently accepted that low morale is an issue, saying in a TV interview that the “question of morale is correct,” and “There is really what I would call battle fatigue.” This admission is an important step, and is in contrast to statements made by top military officials. However, it remains to be seen if it is just rhetoric or will translate into actions: Buhari campaigned on defeating Boko Haram, and recent ISWA success has undermined that promise in the run-up to elections in February. This low morale undeniably contributes to poor military performance against ISWA. Soldiers increasingly break and retreat when their bases are attacked, and some are reportedly afraid to leave their bases. It has also led to many soldiers deserting the army, and has extended to other security forces. When a group of 2,000 police officers was sent to an army training school and told they would be deployed against ISWA following the training, 167 reportedly deserted. When a group of soldiers was told in August that they were going to be redeployed to the front lines with ISWA, after having already spent four years fighting the group, they mutinied, protesting in Maiduguri airport, firing into the air and refusing to board planes that would have taken them to the front lines. Around 70 soldiers were arrested for their involvement in the incident. Senior officers’ ignorance, or apathy, to the plight of the average Nigerian soldier worsens this morale problem and will prevent steps being taken to fix the issues rife within the military. Badeh’s comment still seems representative of senior officers who continue to ignore the issues faced by the average soldier, even as problems have worsened. When these issues are raised, the military is quick to deny problems while maligning those who speak out. This attitude, as well as the other problems facing the Nigerian military, persisted through several changes of military leadership. There have been several reshuffles of top commanders, while five different commanders have led operations in the northeast in less than two years. The most recent commander was introduced in November. Ingrained beliefs about the threat and nature of ISWA also likely cloud operations in the northeast. 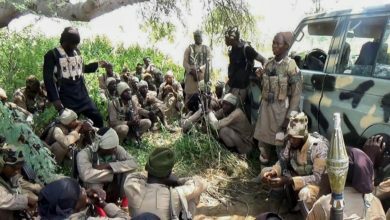 After Boko Haram was driven out of much of its territory by late 2015, Buhari declared the group “technically defeated,” a claim that was in no way accurate. He maintained this position as violence continued the following year, albeit at a significantly lower level. Even now as ISWA attacks increase, the framing of the group as having been “technically defeated” remains. Presenting the group as being defeated and a lack of attention for the conflict in the government following victories in 2015 has reportedly led to a lack of pressure for military officials to show results. In some cases, intelligence officers in the northeast can’t speak the most common local languages. 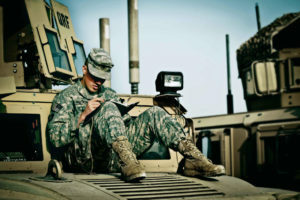 This extends to many military personnel deployed to the northeast who are often from other regions of the country, leading to a military that lacks knowledge of both the local environment and language, harming their own intelligence-gathering abilities. 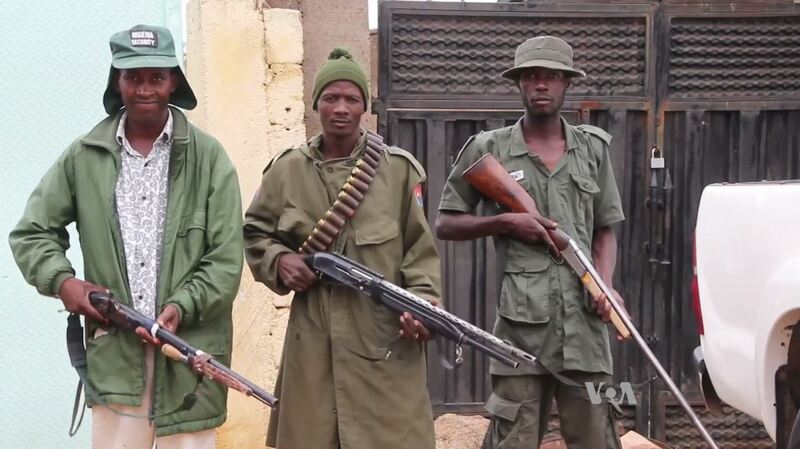 The Civilian Joint Task Force, a vigilante group formed in 2013 by civilians to fight back against Boko Haram, now works as a militia alongside the military, and has helped fill this intelligence gap, although the value of the intelligence it provides is not always clear. Civilian JTF, like the military, has its own poor human rights record. Other evidence suggests problems go beyond local intelligence-gathering. STTEP, the South-African private military contractor, had warned about intelligence shortcomings within the Nigerian armed forces. They were hired in December 2014 to help combat Boko Haram and were key to the rollback of the group’s territory. 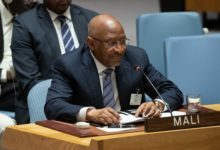 Nigeria’s government reportedly went as far as advising neighboring countries “not to listen” to STTEP, he said. These intelligence failings and misinformation about the nature of the ISIS threat, such as Buhari’s insistence they’re “technically defeated,” has occurred elsewhere in the world, often hindering the fight against ISIS. While the Nigerian army suffers from a variety of issues, ISWA has managed to regroup. Since the split in Boko Haram, ISWA has evolved into by far the more dangerous faction. 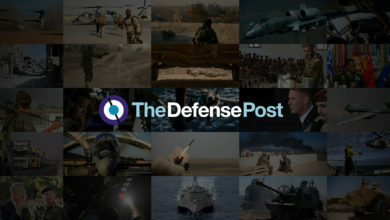 The U.S. Department of Defense in April 2018 estimated ISWA’s strength at 3,500 fighters, compared to 1,500 in the Shekau faction. 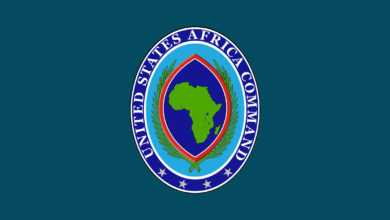 A U.S. Africa Command official last February described ISWA as being the more “longer term strategic threat” of the two. Reuters reported similarly, citing a map produced by USAID in February that had ISWA territory extending more than 100 miles across northeastern Nigeria. Recent propaganda videos released by ISIS showing ISWA activities have also depicted militants openly present in towns, as well as civilian activities such as farming and fishing. 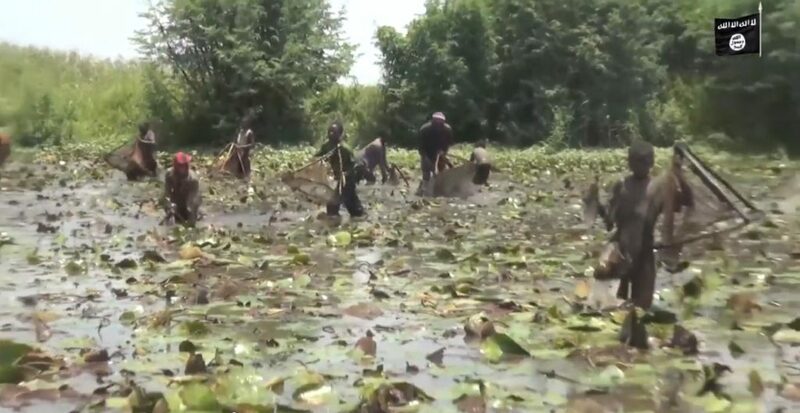 Still from an Islamic State West Africa propaganda video released in July 2018 showing fishing in an area they control. Within the areas they control or influence, ISWA appears to have made a concentrated effort to win over locals, shifting their violence to mainly military targets. They have reportedly dug wells, given out seeds, and provided pastures for herders. One herder said preachers are used to win support from people. 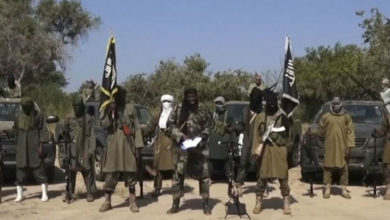 Efforts to protect locals from Shekau’s forces has reportedly won ISWA support while eroding support for the Nigerian military, which cannot always protect civilians and has been accused of serious human rights abuses. 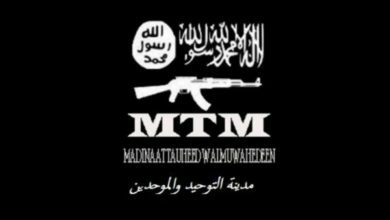 This may have had the effect of reducing involvement of some locals with the Civilian JTF, which has become an important part of the fight against al-Barnawi’s ISWA and Shekau’s faction. 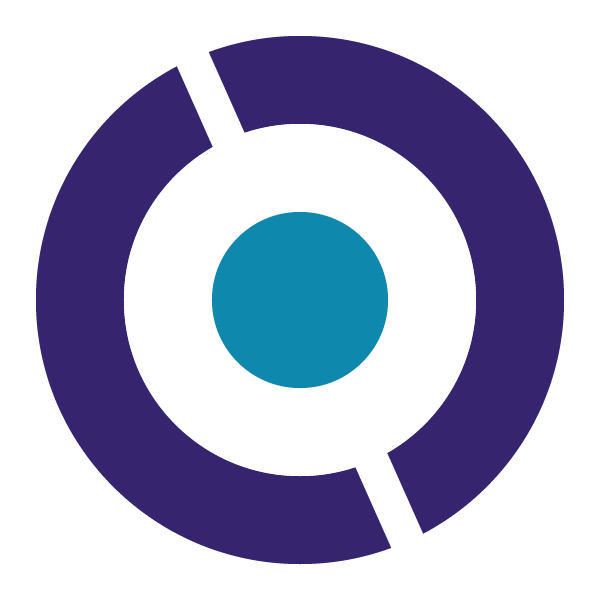 Despite these actions, ISWA is still an extremely violent group that doles out punishments to those who defy its strict rules, as well as killing civilians, executing aid workers, and kidnapping schoolgirls. 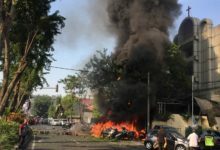 Despite the militants’ statements, some civilians died during the Gudumbali attack. How much longer ISWA will remain more moderate compared to the more extreme Shekau faction is also up for debate. In August, the long-time ISWA commander Mamman Nur was killed, possibly by other commanders unhappy with his more moderate position. 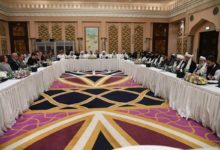 With some viewing al-Barnawi as more of a figurehead in ISWA and Nur as the real power, the latter’s death has led to questions over if ISWA will revert to a more extremist position. 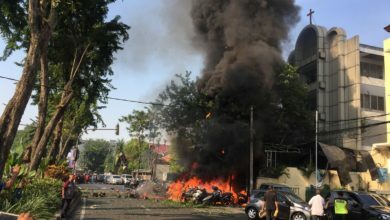 For now, ISWA’s more-moderate stance remains, and it has continued with the strategy of attacking military targets while reaching out to civilians since Nur’s death. This has been paying off, helping it build an economy to raise funds. Mirroring its parent organization in Iraq and Syria, ISWA has been able to charge levies and collect taxes in areas it controls. Residents of ISWA operational areas say the taxes are for protection. Economic activity is also taxed, including the provision of safe grazing for herders at a price per animal and running slaughterhouses where ISWA takes a cut for each animal. ISWA has adopted military tactics from ISIS central in Iraq and Syria, most evident in the deployment of SVBIEDs, or suicide car bombs. 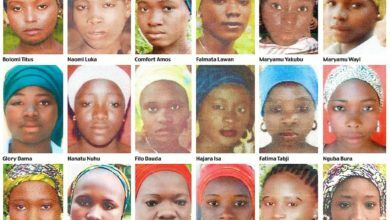 Suicide bombers were widely used by Boko Haram before the group pledged allegiance to ISIS, with attacks often being carried out by women and children. 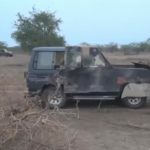 The Shekau faction continues to do this, but al-Barnawi’s ISWA has shifted to the use of more complex SVBIEDs against military targets. 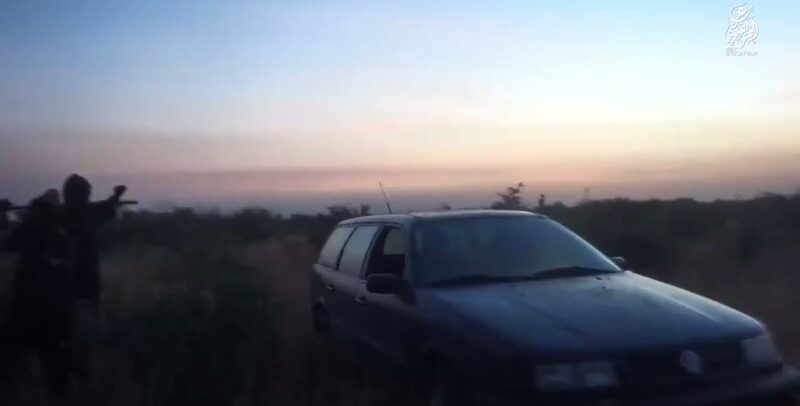 Still from a propaganda video released in August 2016 showing an Islamic State West Africa SVBIED or suicide car bomb. 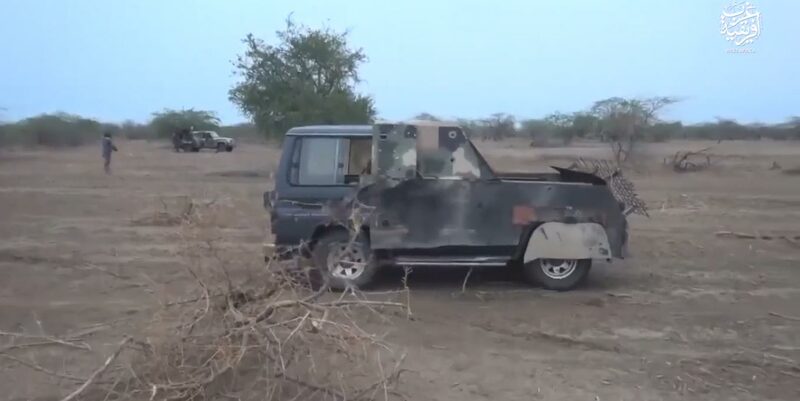 Still from a propaganda video released in July 2018 showing an Islamic State West Africa up-armored 4×4 SVBIED or suicide car bomb. 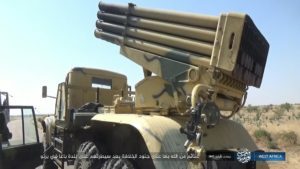 ISIS propaganda videos have shown rapid development in SVBIED technology used by ISWA, emulating designs used by ISIS in Syria and Iraq, and suggesting the sharing of knowledge. SVBIEDs have evolved from simple designs of a car filled with explosives, to more complex ‘up-armored’ versions where the vehicle is protected from incoming fire, increasing the chance it reaches its target. ISIS propaganda image of a commercial drone captured by ISWA after an attack on Garunda military base in Nigeria in August 2018. 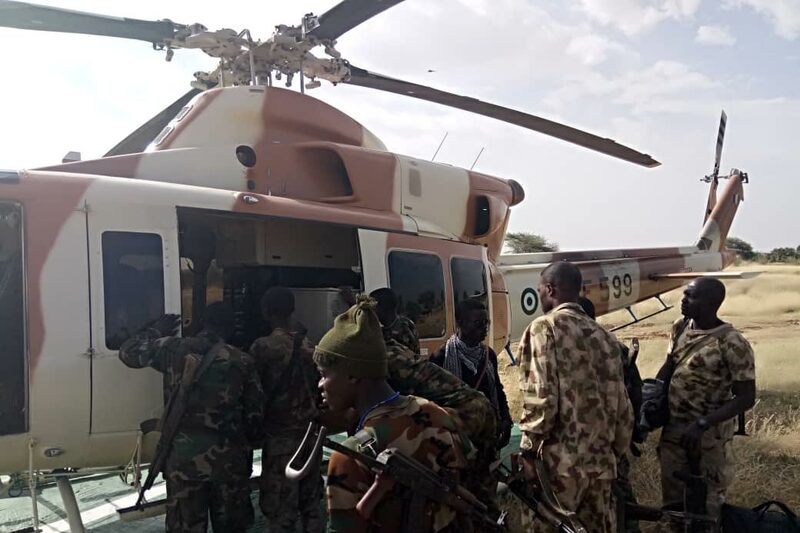 Following the fighting at Metele in November, Brigadier General Sani Kukasheka Usman said that the army had noticed “increased use of drones against our defensive positions” by ISWA. A soldier who survived the fighting corroborated this statement, saying ISWA often uses drones for reconnaissance. 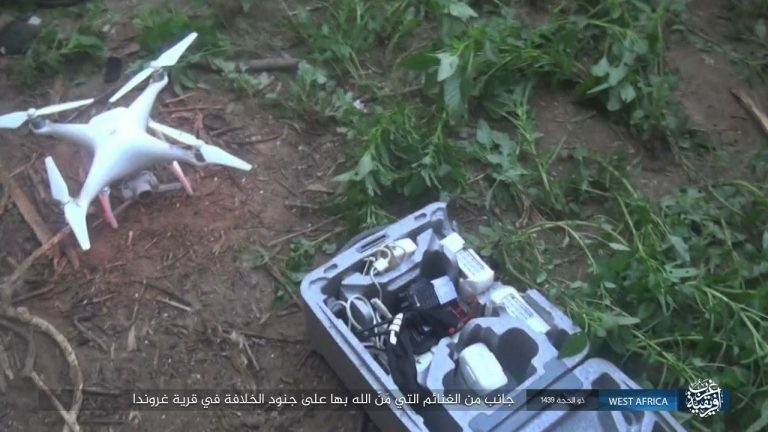 Recent propaganda pictures released by ISIS have shown militants with drones captured from the Nigerian army. After Boko Haram seized significant territory in northeastern Nigeria, the government was no longer able to ignore the problem. Offensives through 2015 and 2016 drove Boko Haram from much of its territory and significantly weakened the group. 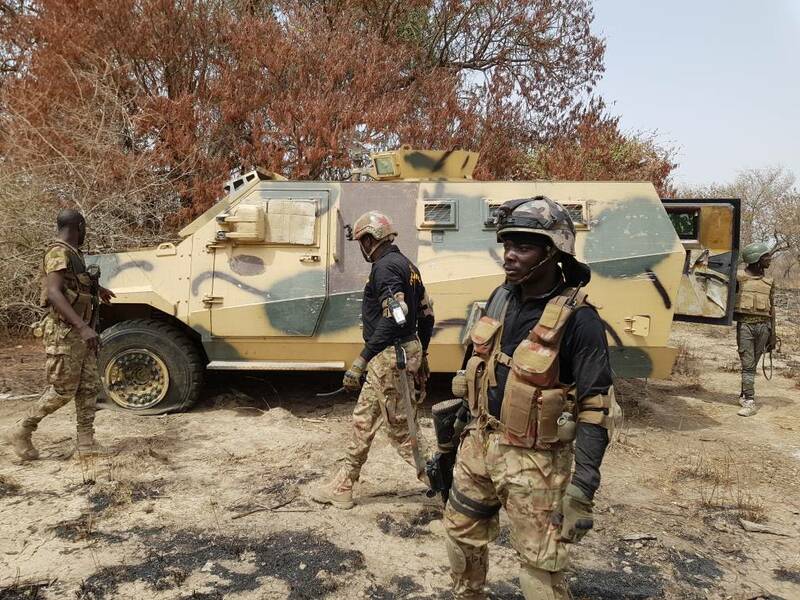 Nigeria gained significant foreign military assistance in the form of a rejuvenated MNJTF, and it secured the services of South African private military contractor STTEP, which trained and supported Nigeria’s 72 Mobile Strike Group. They employed a tactic of relentless pursuit, carrying out constant assaults on Boko Haram and cutting off withdrawing militants. The 72 Mobile Strike Group also benefited from organic air support from STTEP. Nigeria’s contract with STTEP was not renewed after Buhari assumed office in May 2015. However, compared to that period of offensive operations, Nigeria’s strategy has since transitioned into a primarily defensive one. Garrison towns scattered across Nigeria’s northeast are intended to protect local communities and contain militants. This has shifted the Nigerian army to a more static stance, giving ISWA the initiative, and allowing ISWA to dictate the pace of conflict. Exposed military bases have presented good hard targets for ISWA, often providing militants the opportunity to further supply and equip themselves. This strategy has been further weakened by the issues within the Nigerian army. Bases are not always suitably defended, a problem made worse by poor equipment and low morale. Reinforcements and air support can also be slow to materialize, if they come at all. ISWA’s use of roadside bombs and ambushes on supply lines further expose the military, and sometimes prevent follow-up operations after attacks. Bases that are supposed to contain ISWA and protect local communities can even be given up without a fight, such as when soldiers at Arege ran out of ammunition and were forced to withdraw. The Nigerian military has curtailed economic activity in the northeast in an attempt to starve the militants of resources and supplies. This has, however, been advantageous to ISWA, complementing its strategy of reaching out to civilians and raising funds via taxation and levies on economic activity. When they are on the offensive, military operations are still often reactive and can have limited effect. Operation Last Hold, announced in April 2018, was meant to “totally destroy Boko Haram,” according to General Buratai, but by the end of the year ISWA appeared increasingly deadly. 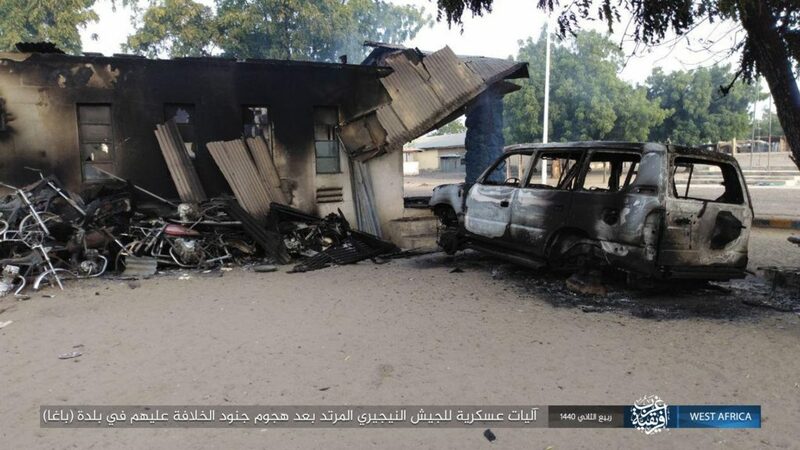 An ISIS propaganda image showing the aftermath of an Islamic State West Africa province attack on a military base in Baga, Borno state, Nigeria, on December 26, 2018. As 2018 drew to a close, ISWA yet again staged a deadly attack in Nigeria, this time storming bases near the town of Baga on the shores of Lake Chad. Militants overran the local MNJTF base, routing some 500 soldiers, as well as a naval base. 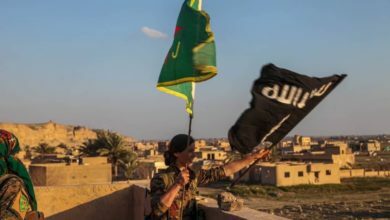 Residents said ISWA also took control of the town, raising the ISIS flag and even leading morning prayers, claims denied by the military. Like at Gudumbali, ISWA militants reportedly said civilians would not be targeted. A third base at Fish Dam was also attacked, and appeared to be overrun. Army reinforcements struggled to reach Baga after being blocked by other ISWA militants, and there were reports that ISWA captured several other towns. 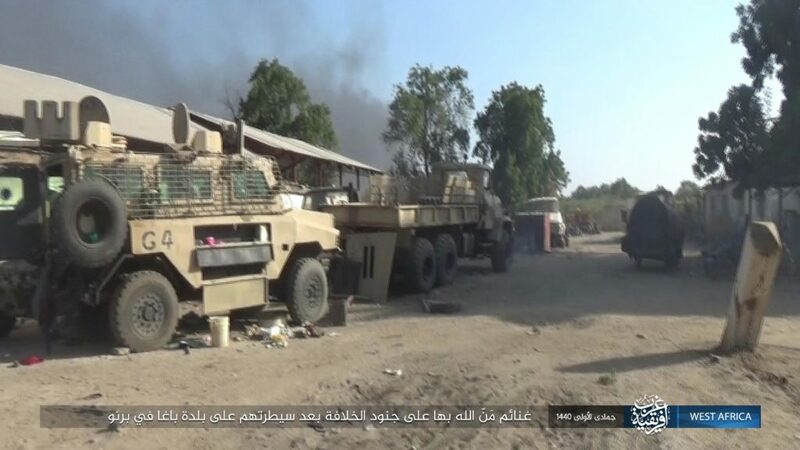 Propaganda image showing what appears to be a South African Reva 4×4 mine-protected vehicle captured by Islamic State West Africa during an attack on Baga, Nigeria in December 2018. 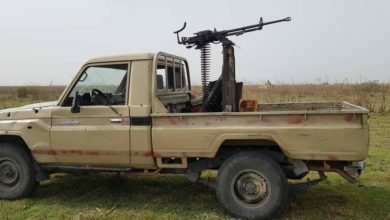 Pictures released by ISIS appeared to show large quantities of weapons, equipment, and vehicles captured by ISWA, while a video showed militants inside the Fish Dam base. In the first week of 2019, ISIS claimed ISWA carried out seven attacks and issued a statement saying 140 Nigerian soldiers were killed within a few days. Propaganda image showing a Russian BM-21 Grad multiple-launch rocket system captured during an Islamic State West Africa attack on a military base in Baga, Nigeria, in December 2018. 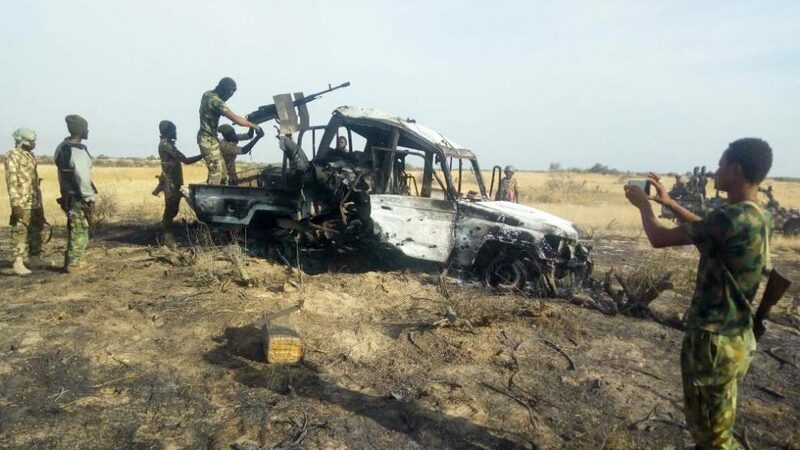 The army said several ISWA attempts to overrun a base at Damasak at the start of 2019 were foiled, mainly through Nigerian Air Force close air support, although an Mi-35 helicopter crashed near Damasak killing all five crew members. 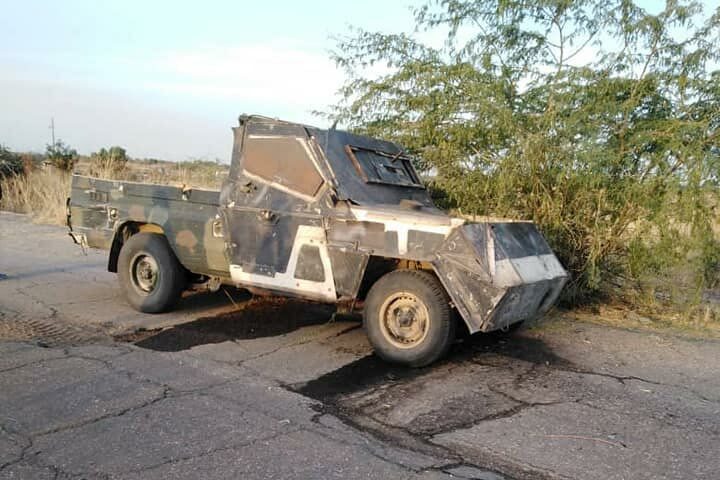 The air force was also effective after the attack on Baga, targeting ISWA militants and destroying what appeared to be a BM-21 “Grad” 122-mm multiple launch rocket system that had just been captured from the MNJTF base. While it can be employed effectively to defend bases and target militants, air support has not always been used when soldiers need it. ISWA appears confident moving large convoys extended distances, sometimes in daylight, apparently not concerned about airstrikes. Air support is a clear advantage over ISWA that needs to be used to defend bases and inflict damage on militants. ISWA fighters have become increasingly confident, staying longer after attacks, presenting opportunities for the air force. Over a week after ISWA seized the town, a Nigerian military counter-attack successfully recaptured Baga. The delay before launching the counter-offensive meant that by the time the military reached Baga, ISWA militants had reportedly withdrawn. 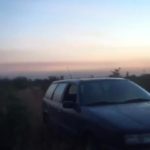 While an important operation, it shows that the Nigerian military is primarily reactive. Days after the military returned, ISIS claimed another ISWA attack at Baga. As the frequency and scale of ISWA attacks in northeast Nigeria increase, a struggling military appears to be finding it hard to fight back. Underlying issues have not been addressed, leading to an ineffective strategy further hampered by self-inflicted wounds. While many of these issues existed in 2015, foreign support and a different, more offensive strategy helped the military push back Boko Haram. Any lasting victory in this new phase of the conflict seems unlikely without the military addressing the multitude of underlying problems. 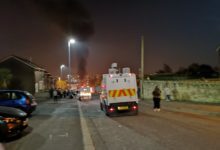 The situation will only worsen as ISWA attacks increase in frequency, with increased risk of more bases being overrun and even significant towns being captured and held by ISWA militants. February’s elections will likely stretch an overworked military even more. The current path in this conflict seems unsustainable for the Nigerian military, and changes to its strategy and tactics must be made. But as in 2015, this alone will not be enough to deal a lasting blow to the insurgents. If Nigeria wishes to secure a lasting victory against ISWA, the underlying issues within the military must be addressed, but with no apparent will among the military and political leadership to make the required changes, for the time being the conflict seems likely only to worsen.